What makes a good life? Is it money? An important job? Leisure time? Mihaly Csikszentmihalyi believes our obsessive focus on such measures has led us astray. Work fills our days with anxiety and pressure, so that during our free time, we tend to live in boredom, watching TV or absorbed by our phones. What are we missing? To answer this question, Csikszentmihalyi studied thousands of people, and he found the key. People are happiest when they challenge themselves with tasks that demand a high degree of skill and commitment, and which are undertaken for their own sake. Instead of watching television, play the piano. Take a routine chore and figure out how to do it better, faster, more efficiently. 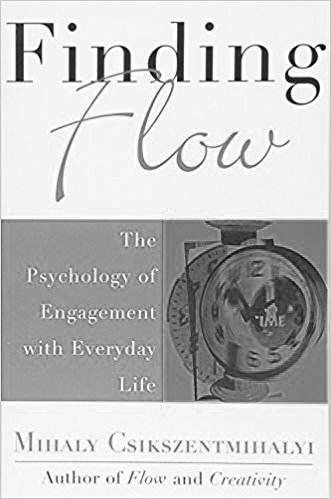 In short, learn the hidden power of complete engagement, a psychological state the author calls flow. Though they appear simple, the lessons in Finding Flow are life-changing.